One of the reasons why individuals in recovery can feel overwhelmed is that they can become stuck inside their own head. Imagine if you had to speak to the same person all the time, you would almost certainly start to become sick of this individual. The same thing can happen when you are always focused on your own things, especially if your inner dialogue is generally negative. The process of being addicted requires that people become self-obsessed, but it is important to overcome this habit in recovery. Focusing on others does not mean you need to start judging or trying to change them. It is more about learning to emphasise and see things from their side of the fence. It means you can start to feel happy because others are happy. The fact that you are now more interested in other individuals will also make it much easier for you to build friendships. Most important of all, this switch of focus means you get to escape the constant belittling of your inner critic. It is common for those falling into addiction to develop low self-esteem – if they do not feel this way when they start then the process of addiction is likely to trigger it. It is this feeling of inadequacy that is behind the inner dialogue of self-criticism. The key to overcoming the negative feelings is to develop some self-compassion. This means that instead of always being critical of yourself, you begin to treat yourself as you would treat somebody you really love. If this is something you find hard to do, you could increase your ability for self-compassion by learning a technique like loving-kindness (metta) meditation and practicing this regularly. The reason some individuals are happy and others are miserable is not about how much they own or have achieved. Plenty of rich and successful people turn to drugs to try to cure their unhappiness, with some even attempting/committing suicide. Real happiness has nothing to do with what you are able to get; it is all about appreciating what you already have. If you want to have a better life in recovery, you need to switch your focus so you are more aware of all the good stuff. Many people falling into addiction seem to always focus on the negatives in life; this can be a sign of depression. You can learn to switch your focus to the positive and one effective ways of doing this is to start keeping a daily gratitude diary. This is where you write down all the good stuff every day, which will remind you of all the positives you should feel grateful for. 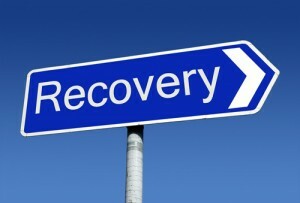 It is also believed that as long as you remain grateful for your recovery, you would be very unlikely to relapse. Doing a good turn for another person can actually have a more positive effect on you than it can on them. This is because this type of activity boosts your self-esteem by making you feel good about yourself. Doing something nice for others does not have to be anything too dramatic – even giving your seat to an elderly person on a bus can be enough to be your good deed for the day. The important thing is you keep on doing good things for others until it becomes a habit. If you can meditate for just 10 minutes per day, it can have a huge impact on your life. It can mean that you sleep easier at night, are better able to deal with stress, and are less likely to struggle with cravings or thoughts of relapse. The mental and physical health benefits of this type of practice are now undeniable, and you can enjoy most of these benefits with just a few minutes of meditation per day. It is common for individuals in early recovery to find it hard to concentrate, or even sit still, so you may assume that mediation is not an option for you. The reality is that there are also moving meditation practices like tai chi or yoga, which could be a better option if you lack focus (your concentration levels will improve over time). Even going for a walk can be a type of meditation if you are able to stay focused on the moment. Humans are social animals, which mean they are highly influenced by this type of interaction. If you can be spending more time with positive role models, this interaction can star to change your behaviour subconsciously – it has even been said that you become the average of the five people you spend most of your time with. If you start spending more time with those who are successful in recovery, you are likely to strengthen your own sobriety (this is one of the reasons that joining a recovery fellowship can be a good idea). If you have a habit of almost automatically saying ‘no’ to the suggestion of trying something new, you are likely to benefit by making yourself say ‘yes’. It is important to experiment in recovery and, if you do not try new things, you are only ever going to get more of the same in life. Sometimes it can be the things that you least want to do in life that turn out to be the most rewarding. Trying something will not mean that you need to commit to it long-term, but it is self-defeating to just dismiss things you have not actually tried. If you never feel challenged in life, it means that you do not like to leave your comfort zone. This is problematic because in order to develop, you need to become friends with at least a bit of discomfort. If you went to the gym but only stuck to the exercises where you felt comfortable, you would unlikely benefit much from the experience. You have more potential than you could ever dream of, but you can only find what you are capable of achieving by regularly leaving your comfort zone. If you are physically unfit then you will find it hard to enjoy your new life; instead, you can expect to feel tired and unmotivated most of the time. You do not have to go out and begin training for a marathon in order to reach a good level of fitness. If you do just a few minutes of exercise each day, you can begin to reap the rewards. Going for long walks can be one of the easiest ways to begin regaining your fitness levels, although it is recommended that you always speak to your GP before starting any exercise regimen.